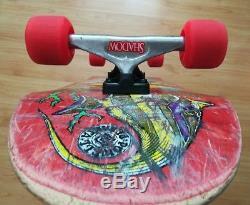 Powell Peralta deck, Gullwing trucks and Kryptonic wheels. 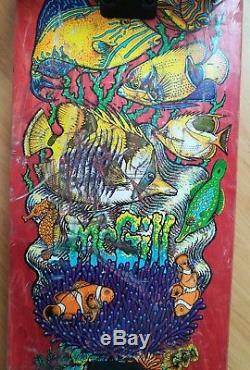 The deck was released in 1991, it's a Mike McGill Aquarium; graphic by John Keester. I really put Dave Schad, who did most of the separation work and screen preparation, through the paces with the McGill Aquarium, trying to use partially transparent inks overlaid with each other in ways that would produce additional colors. 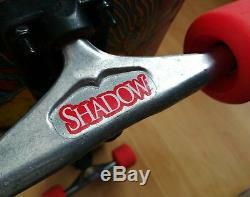 The trucks are Gullwing HPG IV Street Shadows and the wheels are Kryptonic Slammers. 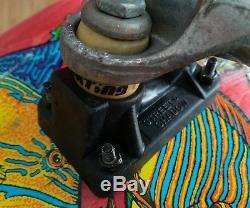 The deck, trucks and wheels are all used and vintage; no delam or warping, from what I can tell, just the average wear and tear. 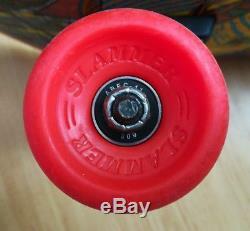 Some slight coning to wheels, if you're bothered about that (I'm not). Bolts are brand new allen domeheads. 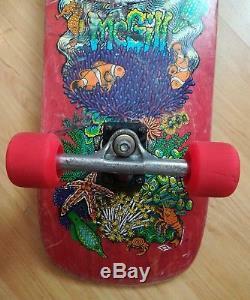 I've also given the board a fresh custom grip job. Looks great displayed and still plenty of life left to ride it. All offers are welcome for my consideration. 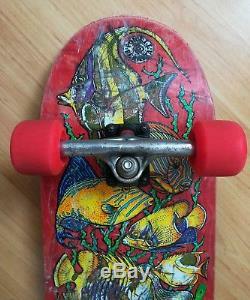 If it doesn't sell, it will either go on the wall or get skated. 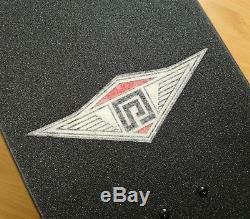 Please check out my other boards for sale. Smoke and pet free home. Please check out my other listings. Please contact me if you need more time to pay. I don't post on Weekends or Bank Holidays. If you would prefer to collect, just ask. Once I've posted it, it's no longer my responsibility. 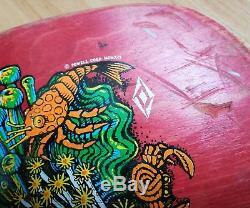 The item "Powell Peralta 1991 Mike McGill Aquarium Vintage Skateboard Deck Gullwing Trucks" is in sale since Monday, May 7, 2018. 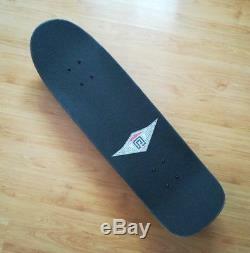 This item is in the category "Sporting Goods\Skateboarding\Complete Skateboards". 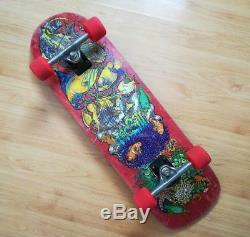 The seller is "mythic_protagonist" and is located in Colchester. This item can be shipped to United Kingdom, Antigua and barbuda, Austria, Belgium, Bulgaria, Croatia, Cyprus, Czech republic, Denmark, Estonia, Finland, France, Germany, Greece, Hungary, Ireland, Italy, Latvia, Lithuania, Luxembourg, Malta, Netherlands, Poland, Portugal, Romania, Slovakia, Slovenia, Spain, Sweden, Australia, United States, Canada, Brazil, Japan, China, Israel, Hong Kong, Norway, Indonesia, Malaysia, Mexico, Singapore, South Korea, Taiwan, Thailand, Bangladesh, Belize, Bermuda, Bolivia, Barbados, Brunei darussalam, Cayman islands, Dominica, Ecuador, Egypt, Guernsey, Gibraltar, Guadeloupe, Grenada, French guiana, Iceland, Jersey, Jordan, Cambodia, Saint kitts and nevis, Saint lucia, Liechtenstein, Sri lanka, Macao, Monaco, Maldives, Montserrat, Martinique, Nicaragua, Oman, Pakistan, Paraguay, Reunion, Turks and caicos islands, Aruba, Saudi arabia, South africa, United arab emirates, Ukraine, Chile.